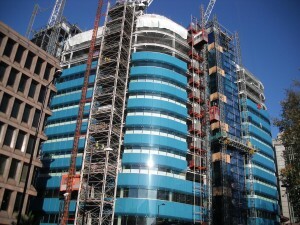 100 Cheapside provides 86,600 SQ FT of grade A office space over nine upper storeys, with a stunning roof terrace on the top floor. 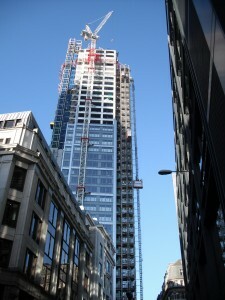 The new building is arranged on two basements, ground and nine upper floors and is situated in the City of London, between the Bank of England and St Pauls. 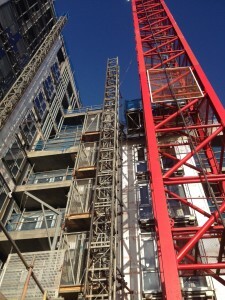 The development will also include 9,000 SQ FT of retail accommodation. 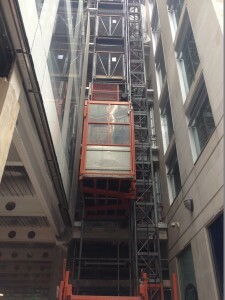 UBS supplied one of their very popular 20/32 Passenger Goods Hoist, with a capacity of 2000kg and length of 3.2m. 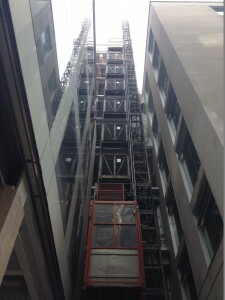 Due to a very small area around the build the hoist was squeezed in between an existing building and the rapidly growing 100 Cheapside project. 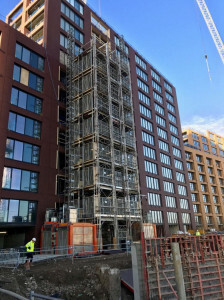 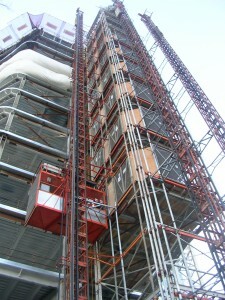 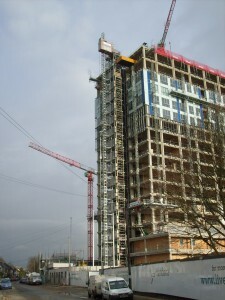 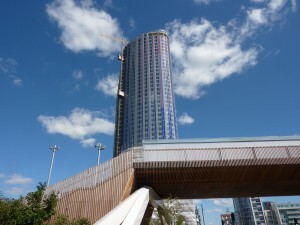 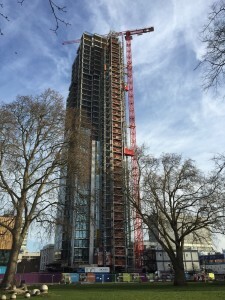 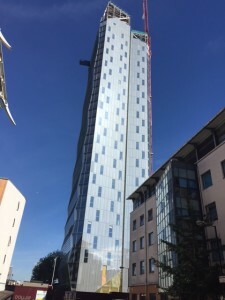 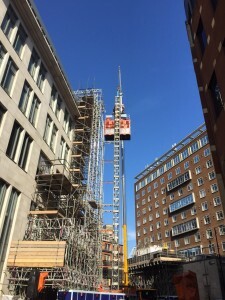 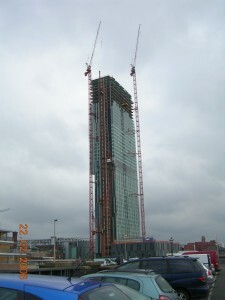 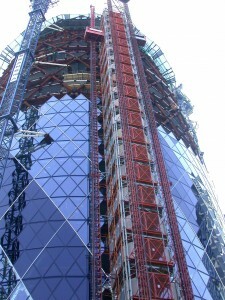 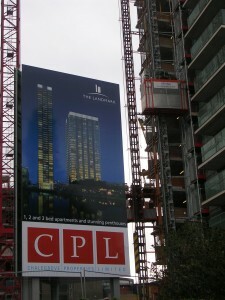 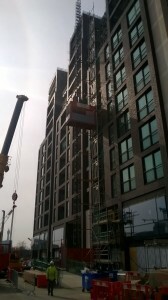 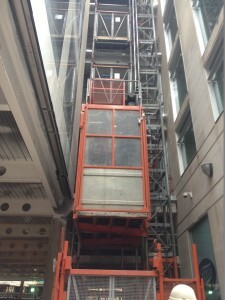 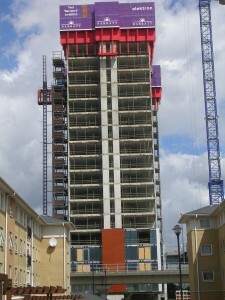 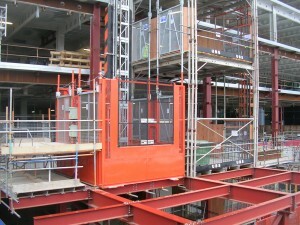 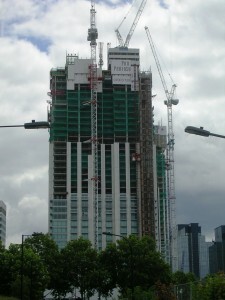 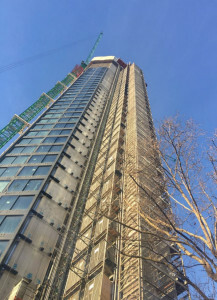 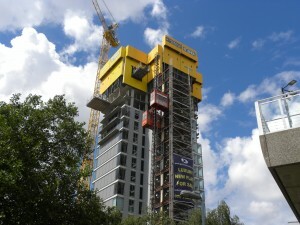 A requirement from site was that the ties were to be designed to allow as much cladding as possible to be installed whilst the hoist was in-situ. 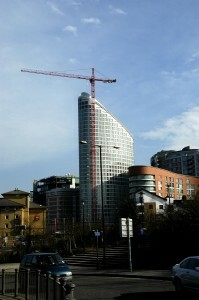 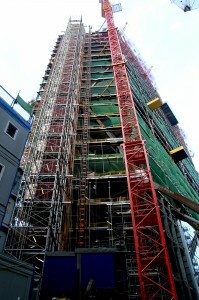 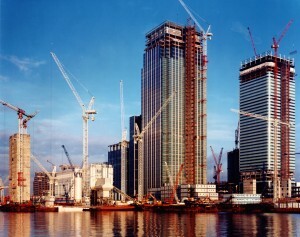 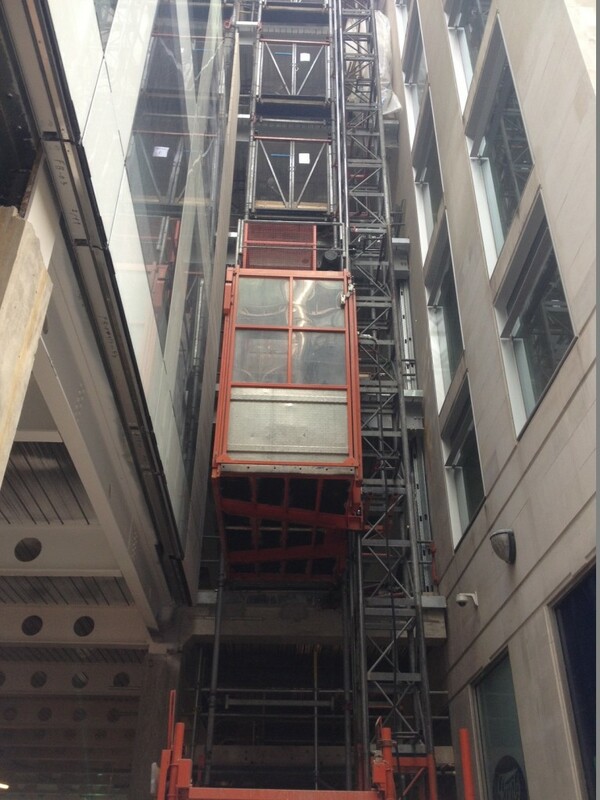 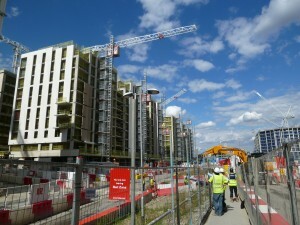 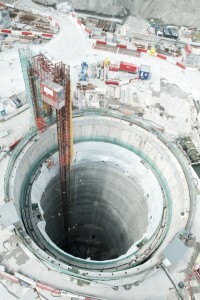 This was easily accomplished by UBS who designed a special short tie system allowing work to be carried out.